I am a huge, huge, huge fan of Anne of Green Gables. This is a story I fell in love with many years ago. Anne is a charachter that manages to capture the heart and never let it go. Transporting you to the beautiful time period and location of Canada’s Prince Edward Island. My love of this story has also been passed on to my girls. 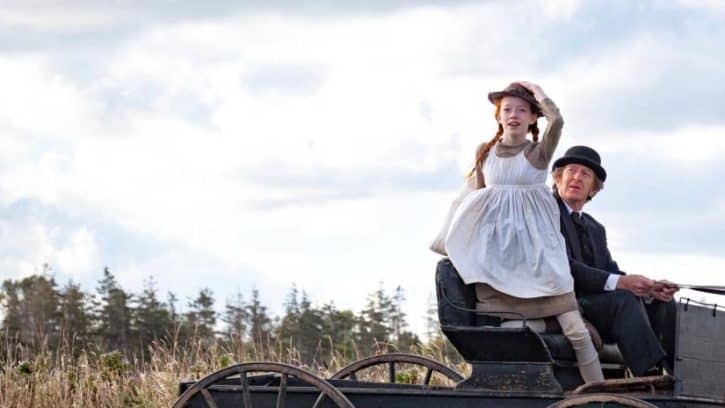 So I’m going to be honest when I say I was I was a bit nervous when I heard last year that Netflix was coming out with a new version of Anne. However, I have to tell you after seeing this preview below , May 12 can’t get here fast enough. This Netflix original seems like its going to hold audiences captive and introduce this amazing story to a whole new generation. They search through 1,800 girls for the part, but Amybeth McNulty, a 14-year-old Canadian-Irish actress, won the role of a lifetime. It’s simply titled Anne, not Anne of Green Gables like the original. So check out the preview below and tell me what do you think. Oooh sounds good! I love the Anne of green gables stories! Oooh I am pretty psyched about it too!! <3 I am loving all the Netflix original releases lately!! Sounds like a great movie. I just checked my nexflix and I will watch this movie. Thank you for the suggestion. In my mind nothing will compare to the original but this is close.